Praise (Honor) and Gracie Have Taken Over! 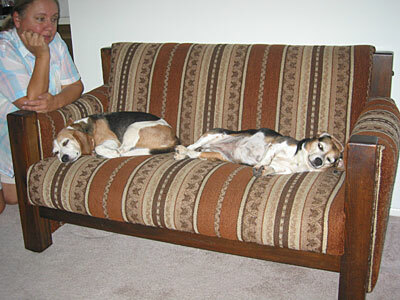 Beagle Buddies: Here's the evidence that our house has been taken over by hounds! We used to enjoy sitting on this couch, now it's even more fun! These two have really adopted us, it's as if they always have lived here.